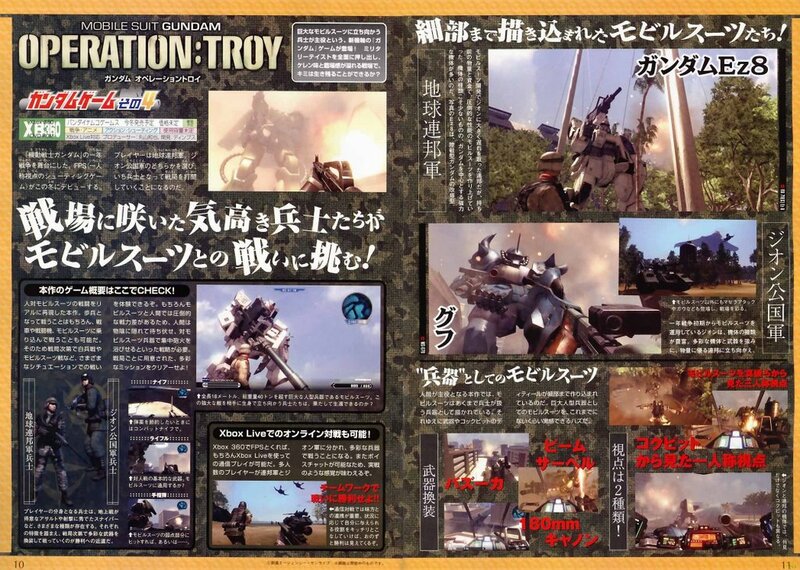 Apparently Japanese gaming mag Famitsu had two full page of information regarding the upcoming Gundam Xbox 360 game, Mobile Ops: The One Year War, and it looks awsome. I'm hoping that being able to actually run around with these huge mechs will inspire the same kind of awe that I got while playing Shadow of the Colossus. With the exception of being able to control this huge beasts or do some serious damage. Is that too much to ask?